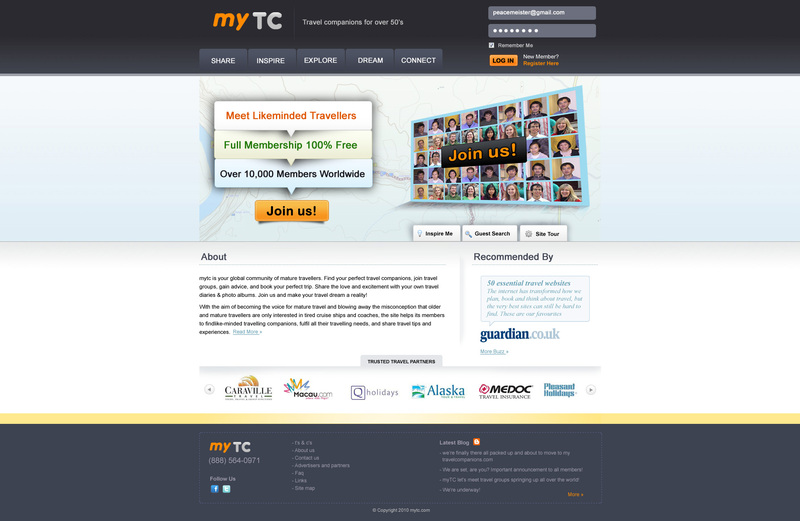 myTC or mytravelcompanions.com is a global community of over 50’s travellers that is free to join. Member’s use the site to find travel companions, join travel groups, gain travel advice, and book their perfect trip. With travel diaries & photo albums members can then share their experiences. The home page needs to be much more professional, slick and modern looking. We need to compare with the high quality design appearance of modern popular social networking websites such as twitter. This is a 99designs.com submission.